It’s a great time to be shopping for premium compact cameras; in the past few weeks we’ve seen two exciting new launches to the market in the shape of the Panasonic LX15 and the Sony RX100 V. We pit those cameras against each other, throwing in the already established (and well-respected) Canon G7X II into the mix for good measure. 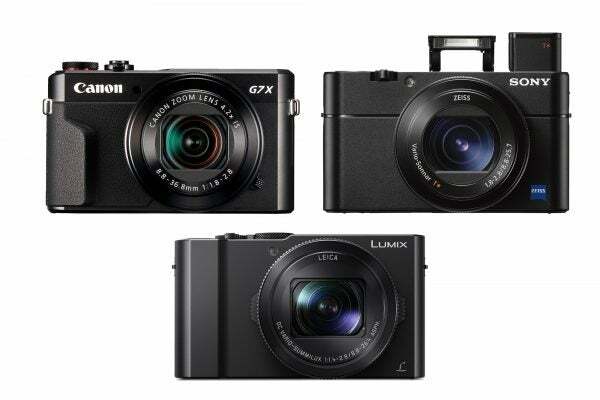 All three of these premium compact cameras have a one-inch sensor, all sporting 20.1 megapixels – the pixel count of choice it would seem for cameras of this type. There’s little to separate out the sensors, especially before full testing has taken place. We do know that the Sony RX100 V has a “stacked” design, which certainly makes it the best image quality in terms of Sony RX100 models to date.